Pets are our furry children and keeping them out of the pool can save their lives. Even larger dogs can have difficulty finding their way to the stairs and out of the pool before they are exhausted. 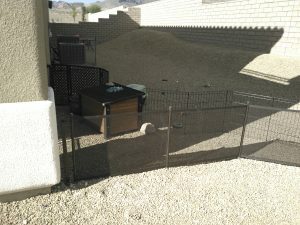 A pet fence installed by Safe Defenses can be the difference between a safe puppy and a waterlogged dog. 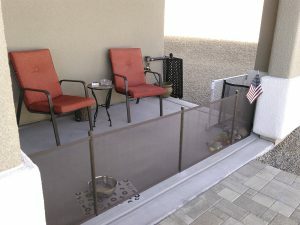 Our pet safety fences are available in a variety of colors, and are designed and installed in any height you need from as short as 1 foot high. 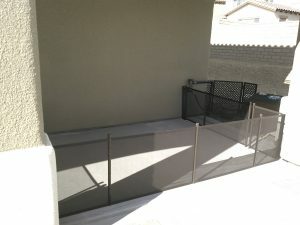 Buy a pet fence from Safe Defenses today, and stop worrying about your dog, cat, or other pet by tomorrow. 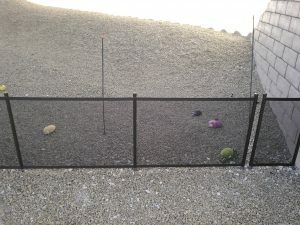 Why Pet Owners Choose Pet Fences? Some dogs love the water and keeping them out of the pool means that you have to listen to them whining at the patio door or deal with a pile of wet towels to keep your home from being saturated. Older pets, especially ones with difficulty seeing may accidentally fall into your pool. 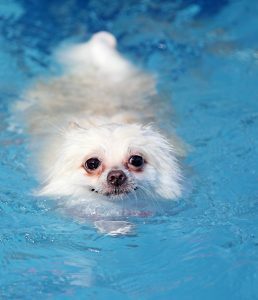 Dogs that love to chase birds, rabbits or other animals may accidentally fall into your swimming pool while focused on running. 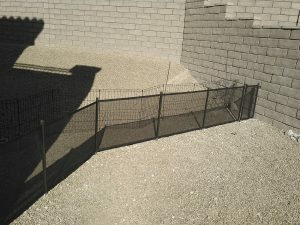 What is the Difference Between Pet Fences & Other Safety Fences? The short answer is that pet fences are shorter, most of them reaching from 1 foot to 5 feet in height. 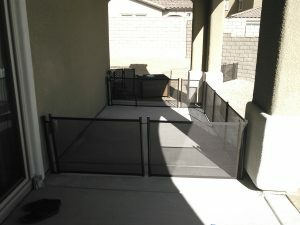 This is ideal to keep most pets out of the pool and most pet owners happy, but occasionally a larger pet needs a standard safety fence to keep them from jumping into the water. If you are a pet owner and want peace of mind knowing that your dogs and pets are safe from your pool, contact Safe Defenses to find out more about your options.